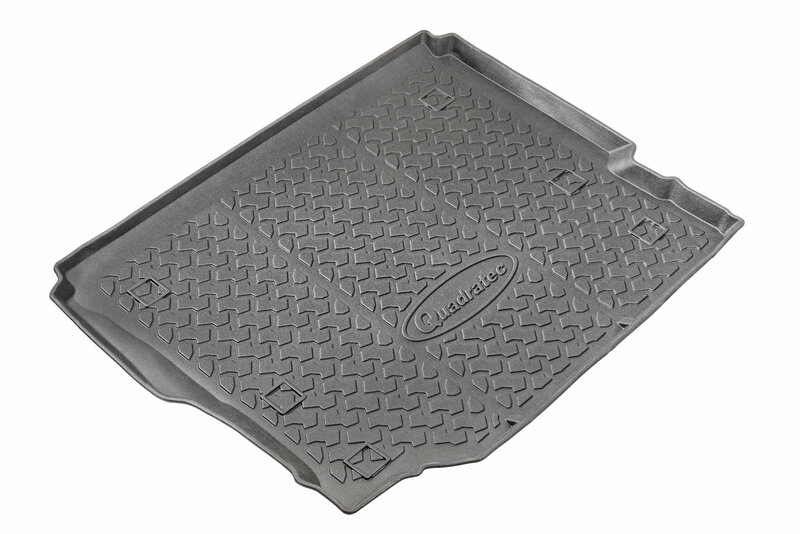 Presenting the only Floor Liners good enough to bear the Quadratec name! Our Ultimate Floor Liners are affordably priced and are cleverly designed to feature the best Limited Lifetime Warranty in the business! Our Essential® Floor Liners for Wrangler provide ultimate floor protection for active lifestyles, and are engineered with the finest materials for total protection against water, snow and mud. Get complete protection for your carpeting with our Essential Cargo Liners. Designed specifically for the Wrangler JL 4-Door Unlimited, our exclusive liners feature 2" tall edges that contain big spills, messy cargo and feature a Unique tread pattern that is Exclusive to Quadratec. Engineered for a custom fit and warranted for life. Extra tough Thermoplastic Olefin construction is chemical and stain resistant and are quickly removable for cleaning. 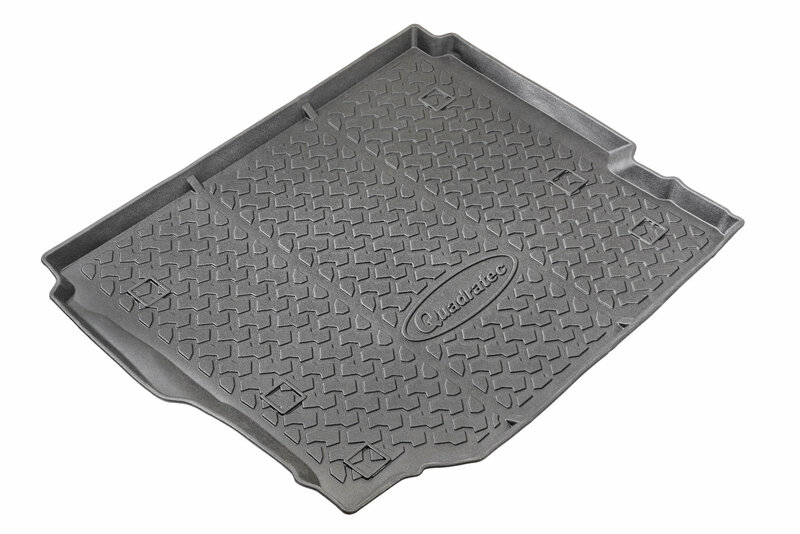 Thick and durable design provides guaranteed floor protection when hauling building materials, gardening supplies, the weekly groceries or a wet dog. 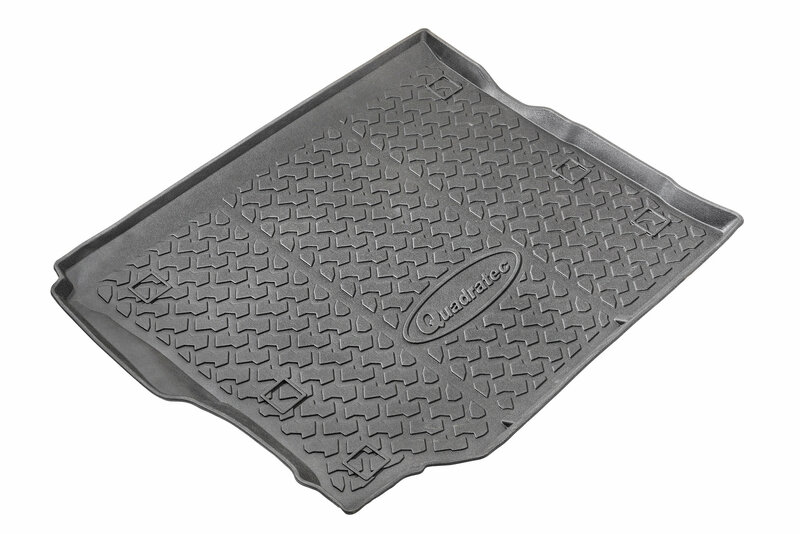 I would highly recommend Quadratec Ultimate All Weather Rear Cargo Liner for 18-19 Jeep Wrangler JL 4-Door Unlimited to anyone that is looking for well made cargo liner. 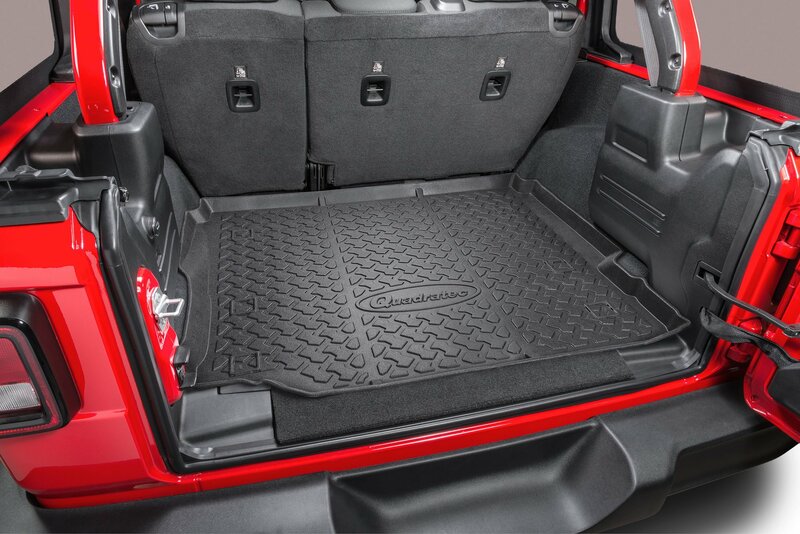 The cargo liner looks like it is high quality material and it fits absolutely perfect. I am very impressed with this product so far. I will be getting the front and rear floor liner asap. Not like the picture at all. There is a 2+ inch lip sticking straight up blocking the entrance to the back of the jeep when the tailgate is open. It is like a dishpan. I am not sure the purpose of such a huge lip unless someone was looking to transport liquid without a container. I ended up cutting the lip off to make it useful which I am sure voids any kind of warranty. After seeing a liner from another brand I used the picture provided to make my decision. I would not recommend this product unless you are transporting snow crusted gear. I patiently awaited the arrival knowing the quality Quadratec puts out. This cargo mat fits so snug and sturdy I am ready to throw just about anything in my trunk now. Thank you for the best cargo mat on the market, Mopar take some notes!